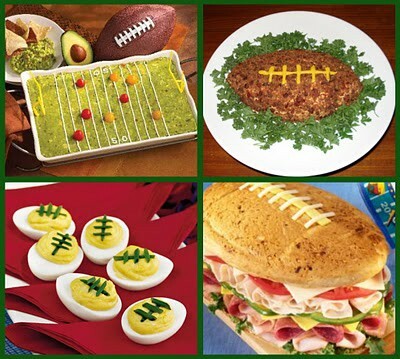 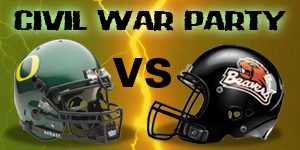 November 26th is the Civil War football game between Oregon State and University of Oregon. 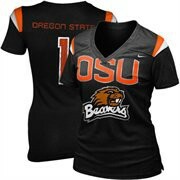 That's right, I'm a Beaver, Go OSU!!! 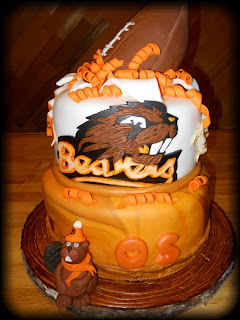 Dessert, 2 cakes of course, because Oregon State wouldn't be caught eating a slice of University of Oregon cake. 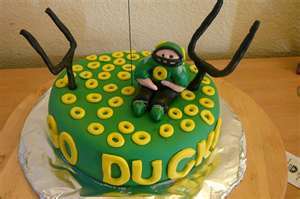 And the Ducks wouldn't eat from the Beaver's cake.